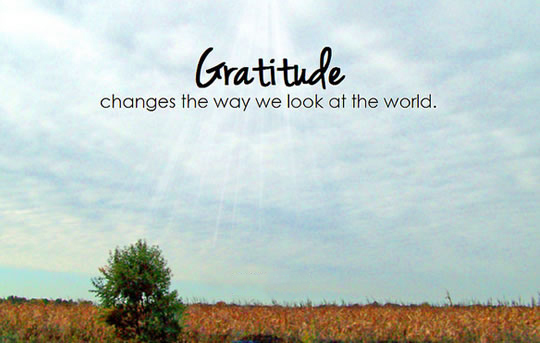 Whenever we begin (and end) our day in a place of gratitude we will be stacking up stockpile for the future. I encourage you to write down three things for which you are grateful each day and use them to remind yourself of all that God is doing in your life. 1. We are to be thankful for the Lord. We serve an awesome God who is supreme Lord over all. We have been given the wonderful privilege of not only having a God, but having a Lord. The word translated Lord here means, “the One who was, who is, and who always will be and the name in relation to God’s redemptive work.” We serve a God who redeemed us and will never forsake us. Just what I needed this morning Roy! Thank you! God Bless you.